Our children were still young when the original Incredibles movie came out. They loved seeing it in the cinema and must have watched the DVD countless times. As did we. A good children's film will also appeal to adults who watch the thing through grown up eyes. The Incredibles series is a case in point. The sequel isn't a lazy rehash, either. Same basic scenario; superheroes are outlawed. But the characters have developed a bit and the baddie element is entirely different. You could see that Mrs Incredible/Elastigirl is being played when she does her superhero thing. By whom? Nice twist. Great visuals, evoking a 1960's style retro view of the future. A couple of things hit home. Why was it that Mr Incredible found it so hard to rejoice in his wife's publicly celebrated exploits? Even with his enhanced strength, he was unable to straighten out the inward curve of human nature that makes it 'all about me'. 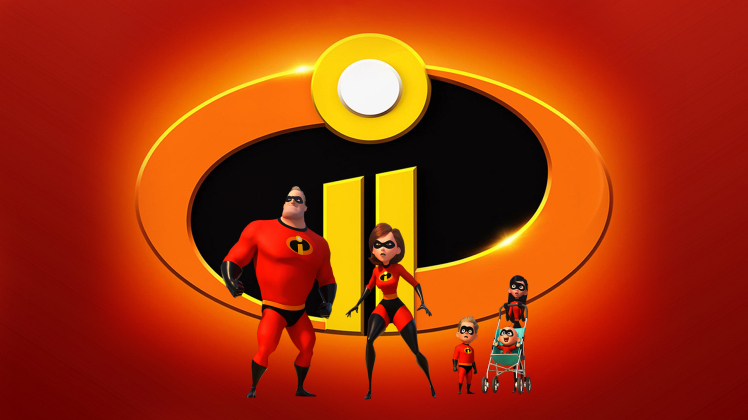 His wife's success as Elastigirl made Mr. Incredible seem like a failure. Galling. Embittering. Dad is left to look after the kids while mom hops on a motorbike to save the world. Harder than you'd think to be a stay at home father. The sleep deprivation-induced parent fatigue will ring true for anyone who's had young kids. Where was Edna Mode when you needed her? Fixing things for his children proved just as much an adventure as Elastigirl's derring-do. At least when ours were babies they didn't disappear into another dimension every now and again, or shoot laser beams from their eyes, or go on fire. Let alone replicate themselves multiple times over. That would have been a bit much. We booked to see a late showing (8.00pm start - 10.00pm finish), hoping the cinema would be more or less a kiddie free zone, full of nostalgic empty nesters. But, no. Place was packed with young mums and their chattering, popcorn spilling brood. Incredible.